Click here for Part One and here for Part Two of the interview. KS – You have taught workshops at many Ár nDraíocht Féin (ADF) festivals. Rather than religious services or magical rituals, you have largely focused on giving academic presentations on topics such as Irish sacred kinship and the nature of sacrifice. What skills and presentation methods have you found work best in presenting the results of your scholarly research to non-academic audiences? KT – It isn’t easy. Telling stories from the lore always goes down well, and a dramatic and theatrical mode of presentation sure helps, as well. 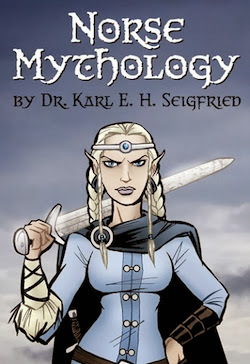 KS – Your book cites ancient sources, classic scholarship, very recent academic work, and writings by modern Pagans. 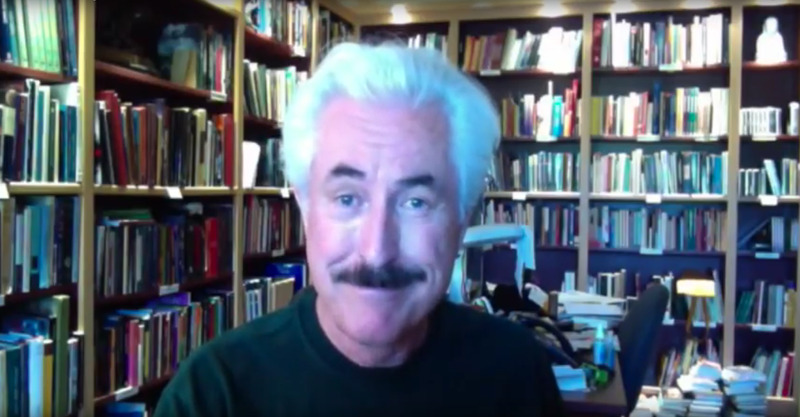 You have written that “the best scholarship is useless without spiritual experience to inform it.” How do you find a balance between secular scholarship and unverified personal gnosis (UPG)? Where is the balance point between extreme reconstructionism and freeform Neo-Paganism? KT – Balance comes through experience, I think. If I have a vision of the war goddess, the Morrighan, as motherly and nurturing figure, then I really have to question the UPG because she just isn’t like that. And UPG is only for me, really, and my own spiritual journey. Should I have UPG experiences that match up with a number of other people’s experiences, then maybe we could say that there’s truth here. Otherwise, I take it with a grain of salt. As for the balance between reconstructionism and freeform Paganism, I think ADF serves as an example. We are not fifth-century BCE Athenians, or first-century BCE Celts, or ninth-century CE Norsemen. We are modern people living in the modern world who are trying to reimagine the ancient religions of the past for modern times. But without using scholarship as a basis for what we do, we could end up with the excesses of the New Age, such as believing that Stonehenge and the pyramids were built by aliens from beyond the stars, among other things. KS – Your writing on building relationships with spirits includes the borrowing of Buddhist breath techniques and Christian mystic body-stress practices. What is the effect of bringing non-Indo-European practices into Druidic practices? Is there a point at which a weight of outside material would swamp the distinctively Druidic nature of the religion? KT – Technique is technique. If it works, then why not steal it? Christianity had no such compunctions. We simply don’t know enough about ancient practices to know for certain what they did. We do know that entheogens were used by the Vedics (soma) and Avestans (haoma), and maybe by the Germano-Norse folks from the stories of the mead of inspiration and of the berserkers. Mind-altering substances get a bad rap in modern culture – and often for good reason, since moderation can be so difficult, so we usually don’t go there. As for ecstatic body-stress practices, the ones I prefer are more Native American, actually, but while the Christians did use some of them, they have been around for millennia, all over the world. Christianity just tapped into something that was already there. You do have a point about the weight of non-Indo-European practices swamping Druidic ones. And for that reason we have to be careful. We suspect that the ancient Indo-Europeans did similar things – the entheogen angle being particularly strong – but we don’t really know for sure. So, for us to have a profound mysticism in Druidry, we may need to borrow from others. The important thing is to acknowledge the borrowing and not try to claim that it came from our Druidic past. KS – You have cataloged and compared an enormous amount of information on Indo-European belief and practice. What is your method for deciding what can be left in the past and what should be brought into modern religions? KT – Ah, this is an excellent question and one that hasn’t been fully addressed in ADF. I expect that we need to balance what we know about the Indo-Europeans with our more modern values. Let’s face it, the Indo-Europeans were patriarchal to a significant degree, with women being forced into the background of public life, if not excluded altogether. The warrior emphasis in most of the cultures – which Zoroaster specifically rebelled against – is another sore point. These are things that we need to face in order to be fair and egalitarian for all our members. KS – Today’s world often seems post-scientific and post-rational. What relationship do you see between spirituality and science? Do you believe religious ritual can create real-world results beyond personal change? KT – Two questions here. For the first, we in ADF are cautious technophiles. Since we don’t take our various myths and cosmologies literally, we see no conflict with spiritual and religious values and the advance of science. As long as science is helping people, we have no problem with it. As for real-world results, well, what can I say? Many people believe that they do get results outside of themselves when they do magic. I’ve done healing rites for people with cancer – one said to be terminal – that succeeded beyond my wildest dreams. Was it just a placebo effect? Did I only support someone in healing themselves? I don’t know, and I don’t think I care. As long as it works, I’m happy. And I make no claims. I guess the short answer is, who knows? KS – Your book is both an academic study and a practical guide. The central goal is to establish and maintain a reciprocal gifting relationship with the gods. What specific results have you experienced from putting the scholarship to practical ritual use? KT – I wrote the book after doing the work of forming relationships. Had these rituals not worked for me, I probably wouldn’t have written the book. I have had mystical experiences of seeing and hearing the gods and some other spirits, and this has usually happened when in a ritual or ritualized setting. Just knowing they are there is an immense comfort to me. And I have to say that the only successful magic I’ve done – like my healing work – has been through my relationships with specific deities. Unlike chaos magicians I don’t only rely on my own “powers” but rather get help from those greater than myself. KS – At the conclusion of the main, scholarly section of Sacred Gifts, you write, “This entire book is based on the idea that the gods and spirits are real and have agency in the world. And all this implies that the gods are many, and not mere archetypes or parts of some greater whole. And this view of Spirit is called polytheism.” How does this fit in with your focus on comparative Indo-European work? Do you believe that all the distinct deities and spirits of all the Indo-European move in the world, and practitioners choose which to interact with? Are the deities of non-Indo-European religions also around us and interacting with each other? Does Allah interact with Odin? KT – Ah, the perennial discussions about soft and hard polytheism are at play here. Hard polytheism holds that every single god or spirit exists independently of each other, while soft polytheism holds that certain types of god – say, thunder gods – may be the same god, or perhaps different aspect of a single god. For the purposes of ADF, we ask that public rituals call on individual gods as distinct individuals (hard polytheism) whether they believe that or not. I do believe that the gods and spirits are many and in great multitude. Do they interact with each other? I have no idea, though I’m pretty sure that those in the same pantheon do. As for the monotheistic gods, I guess it depends on whether or not they believe the propaganda their worshippers have spread around about them: that they are omnipotent, omniscient, and omnipresent, – all things I don’t believe any god can be. There are just far too many issues involved with such claims, such as the idea that a god is not part of nature but rather above it somehow – and then, of course, the problem of evil. Why would an all-good god allow monstrosities like the Holocaust to happen? Either that god is not all-powerful or not all-good. I prefer my gods who can’t ignore the laws of physics and who have to exist within nature instead of somehow outside of it. KS – There is a strong sense in much academic writing on new religious movements based on ancient religions that scholars must challenge what they see as misinformation promulgated by non-specialists. Writing of the relationship between academia and identity, Gonzalo Ruiz Zapatero, Professor of Prehistory at the Complutense University of Madrid, has called on archaeologists “to identify and refute distortions and biased uses of Celtic pasts and... heighten our contribution to the dissemination of a critical perception of the Celts and in so doing effectively combat the ‘fringe Celts.’” As a leader and clergy in this modern religion, how do you respond to secular academics who set themselves as determiners of authenticity? KT – We agree that scholarship is important, and we don’t want to further misinformation. We don’t see ourselves as “fringe Celts” since we actively follow the scholarship. We want to do this right. It is true that there are some scholars who actively work against modern Paganism out of some sort of animus, but we just point out their obvious biases and laugh at them, keeping any of their well-founded criticisms in mind. We do have folks who enjoy destroying the unfounded criticisms of apologists from other religions, though this strain in Paganism does need more developing. KS – Isaac Bonewits has said that ADF “is based on the idea of continual research and on changing and adapting our policies and procedures based on the results of that research.” This is a sound academic approach, but how does it work in a religion? Does adapting to new scholarly work only affect the outer trappings of ritual, or do Druids literally change their fundamental religious beliefs – in the nature of deity, for example – according to the results of the latest academic research? KT – So far there hasn’t been too much contradiction. I think the biggest on is Dumézil’s ideas of tripartition, where he divided society into three classes: the magico-religious group on top, the warriors in the next level, and the producers at the bottom. 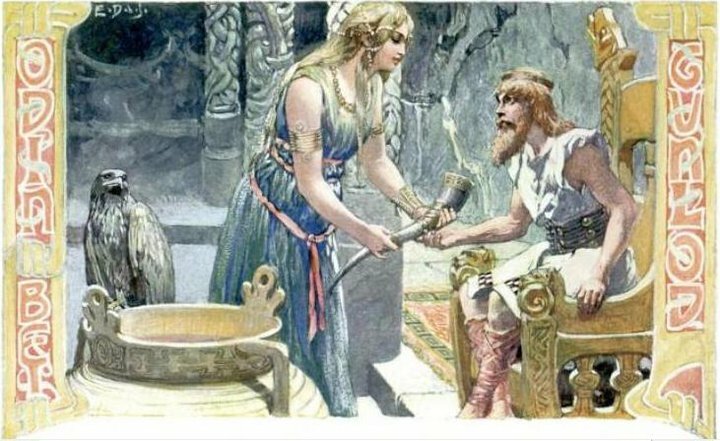 Besides the fact that this leaves out the peasants and slaves, it also became pretty apparent that only a few cultures might follow this paradigm – such as Irish, Vedic, and Roman – while others, like the Norse, don’t follow it at all. So what did this mean for us? Not a lot, actually. We have already enlarged the word Druid to include everyone in ADF and not just some religious elite. While we have folks who want to identify as warriors of some kind, it has no bearing on ritual, necessarily. It’s a fun topic to debate but doesn’t have much bearing on anything in reality. I sincerely doubt that the nature of deity would change thanks to upcoming research. It might expand, but the ideas in ancient IE poetics won’t be going away. But should something happen that might enlarge our understanding of deity, then I would hope that we would enlarge our minds to encompass it. KS – For ancient Celtic and Norse polytheism, we have material artifacts that are explained by turning to (1) outsider descriptions by largely hostile observers who often reported hearsay and (2) mythological texts written down by sometimes hostile Christian scribes after the conversions to Christianity. What we don’t have is native, contemporary second-level theology that explains the belief system or practice. 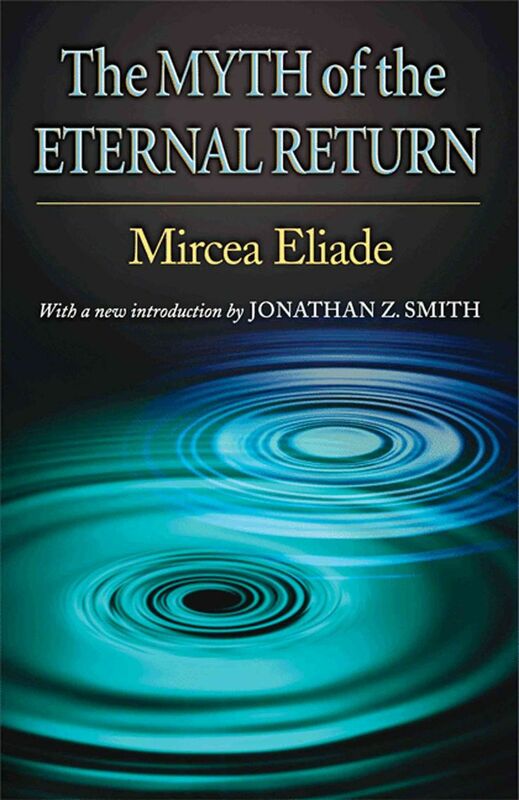 Much of modern Pagan theology seems based less on the primary sources than on decades-old work by secular academics – Dumézil, Eliade, Lincoln, etc. – who are themselves often openly hostile to the very idea of modern Paganism. 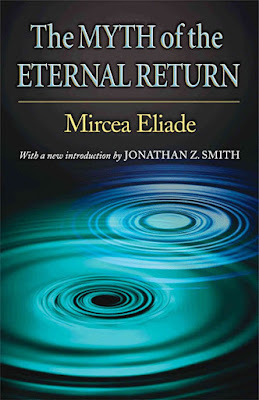 During the memorial ritual for Isaac Bonewits, you said “Let us recreate the sacred center of the worlds.” I know that you know deeply the work of the historian of religions Mircea Eliade, and this is an idea at the heart of The Myth of the Eternal Return. In a new religious movement with roots in an era where there are no primary written sources, what are the theological implications of incorporating the theoretical conclusions of secular scholarship directly into the heart of ritual? KT – We simply have no choice. The problems you mentioned concerning what we know about the past are real. Again, if it works, why not use it? I honestly don’t care if modern scholars are hostile to what we do. Tough. We take the best and leave the rest. If they want to do this work they can hardly complain if we take it and run with it! 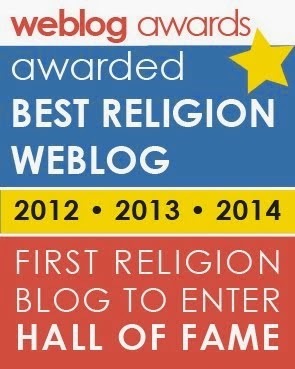 KS – What were your first religious experiences? 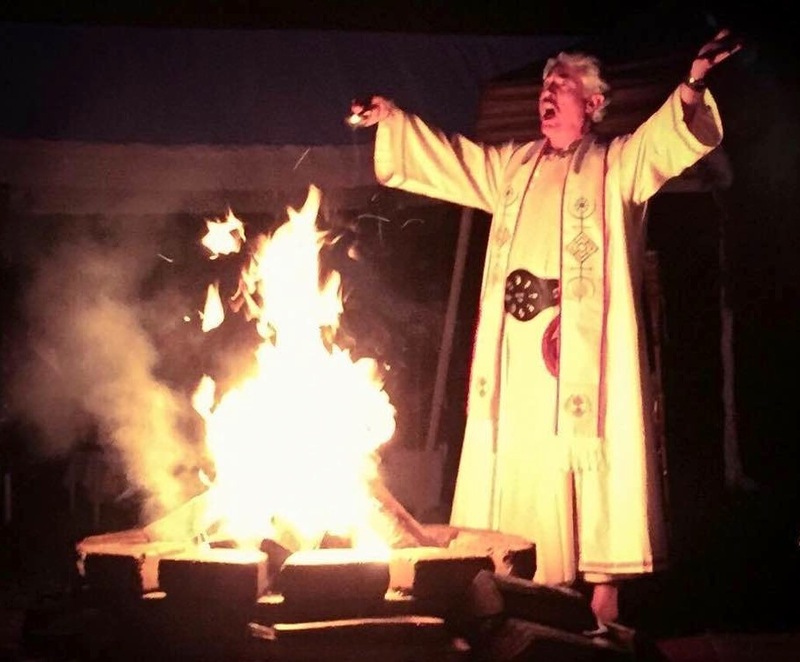 How did they lead to your commitment to Druidry? KT – As a child I had the experience of “something” in the woods behind my grandmother’s house. It didn’t exactly terrify me, but my hair did stand on end. I didn’t know what it was, but I did realize that I had to give it something. I found some grapes in the refrigerator and left them outside on a rock in the woods. The grapes were gone the next day. I wonder now who it was. Maybe it was a spirit similar to the god Pan? It’s funny, but I denied that this happened to myself for a long time. After all, I believed then that gods and spirits weren’t real. It took me a while to get over this misconception. But it did awaken an interest in mythology that has been a great joy in my life. KS – What was your early experience with witchcraft? Did you identify as Wiccan? How did these experiences affect your conception of Druidry? KT – In the late 1960s I found Diary of a Witch by Sybil Leek. 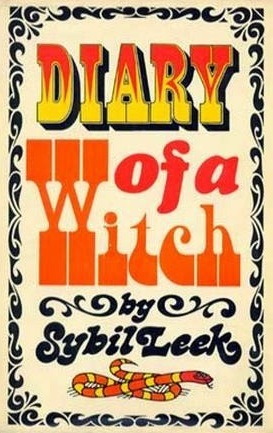 It’s a silly book, but it caught my imagination as a teenager. Later, with Paul Huson’s Mastering Witchcraft, I started creating magical tools and drew pentagrams on the garage floor and absolutely loved it! I was so filled with wonder that I found it all terribly exciting. While in college my interest waned. Had I ever run across a coven, this might have been different, but I had no idea about what I was doing. When I decided in 2000 to come back to Paganism, I naturally assumed I’d end up being a Wiccan, but the ADF website just drew me in, and I went there instead. KS – The first stone circle you built includes shrines to Brigid, Cernunnos, Lugh, Manannán mac Lir, the Morrígan, and Taranis. You write that the second circle is “connected to sacred Celtia” via the small stones collected from near sacred sites in England, Ireland, and Wales that you placed under the large rocks during construction. In your own belief and practice, what attracted you to Celtic deities over figures from other world mythologies? KT – Actually, it’s because they were the ones who showed up in trance for me first! That made it easy. KS – How would you characterize your belief in the gods? For you personally, what is the nature of deity? KT – I believe that they exist. I believe that they have agency and can work their wills in the world – within the limits of the laws of physics, though I also accept that there may be laws we’re not aware of yet; quantum mechanics bends my mind. The gods pay attention to us only if we make an effort to get their attention and work on forming a relationship. KS – There is a long history of academic debate over the difference between magic and religion. How do you yourself distinguish between the two, and how does that distinction affect your own work as cleric and practitioner? KT – I’m not sure that there is a difference. Both are concerned with creating change, both within and without. ADF rites are full of magic, like recreating the sacred center of the worlds, opening the closing the gates, hallowing the blessing, and calling on the gods and spirits. I see no need for a distinction to be made between them. KS – You write, “For those who have a religious or mystical experience, all of nature is capable of revealing itself to us as sacred.” How does being a Druid impact your views on ecology and climate? How does Druidry’s relationship to the environment differ from that of other religions? KT – I believe that climate change is real, and that we are responsible for much of it. I also believe that we are as much a part of nature as anything else in this world. The world does not exist for us to exploit only for our own ends. Rather it is a living, breathing entity that we must share with the rest of the biosphere. It’s hard to live in the modern world without consuming stuff. It’s hard to live lightly on the land. But I try to do my best with growing and buying organic foods, and cutting back on my emissions. I’m not doing as well as I’d like, but I am conscious. ADF also understands all this, even if we tend to put ritual and fellowship first. I’m hoping that in time we will become more eco-aware as a religion and put our money where our mouths are. In an organization based on a harmony of scholarship and practice, how do you address the fundamental fact that the modern idea of a nature religion – a practice that seeks to bring humans in tune with the natural world – goes directly against what we know of the ancient religions? KT – There were so few people, relatively speaking, in the ancient world that they didn’t understand the consequences of their actions. They could cut down a forest and nothing would really change, because they couldn’t make a big enough difference. Today, though, we are quickly destroying our environment. I can forgive my ancestors for their actions, but I sure don’t have to imitate them. Conditions have changed! KS – You write, “Many LGBT people fled Christianity and its discriminatory practices into Buddhism, atheism, agnosticism, and yes, Paganism, where they were able to feel valued.” Do you feel that your life experiences as a gay man have played a role in your religious choices, beliefs, and practice? KT – Oh, absolutely. Growing up gay at a time when all of society – and particularly the churches – believed that I was a horrible sinner and unworthy of being a whole and respected person in my own right certainly affected my view of the world. I have always been eccentric anyway – my mother used to say I was too young to be eccentric – and I’m certainly old enough now. Ha! Since the established paths to spirituality were closed to me, I was forced to look elsewhere. KS – “No Man Is an Island,” the first chapter of your book, makes interesting connections between sociopolitical relationships and religious ones. Throughout your work, modern political examples are used to illustrate ancient religious concepts. As a practicing Druid and religious leader, how do your spiritual and social beliefs interact? KT – They go together, hand in hand. We have to live in the modern world, and life means compromise. But reciprocity is the basis of both my religion and my social and family life. It’s an easy talk to walk. KS – Thank you so much for taking the time to so thoughtfully answer my too many and overlong questions! Berthoff, R. “Celtic Mist Over the South.” The Journal of Southern History 52(4) (1986): 523-546. Bowman, Marion. “Contemporary Celtic Spirituality.” In New Directions in Celtic Studies, 69-91. Edited by Amy Hale and Philip Payton. Exeter: University of Exeter Press, 2000. Butler, Jenny. “Druidry in Contemporary Ireland.” In Modern Paganism in World Cultures: Comparative Perspectives, 87-125. Edited by Michael Strmiska. Santa Barbara: ABC Clio, 2005. Dietler, Michael. “Celticism, Celtitude, and Celticity: the consumption of the past in the age of globalization.” In Celtes et Gaulois dans l’histoire, l’historiographie et l’idéologie moderne. Actes de la table ronde de Leipzig, 16-17 juin 2005, 237-248. Edited by Sabine Rieckhoff. Glux-en-Glenne: Bibracte, Centre Archéologique Européen (Bibracte 12/1), 2006. Hague, E., B. Giordano and E. H. Sebesta. “Whiteness, multiculturalism and nationalist appropriation of Celtic culture: the case of the League of the South and the Lega Nord.” Cultural Geographies 12(2) (2005): 151-173. Hale, Amy. “Whose Celtic Cornwall? The ethnic Cornish meet Celtic spirituality.” In Celtic Geographies: Old Culture, New Times, 157-170. Edited by David C. Harvey, Rhys Jones, Neil McInroy and Christine Milligan. New York: Routledge, 2002. Homan, Ellen Evert and Lawrence Bond. Being a Pagan: Druids, Wiccans, and Witches Today. Rochester: Destiny Books, 1996. McCarthy, James, and Euan Hague. “Race, Nation, and Nature: The Cultural Politics of ‘Celtic’ Identification in the American West.” Annals of the Association of American Geographers 94(2) (2004): 387-408. Ruiz Zapatero, Gonzalo. “The Celts in Spain: from archaeology to modern identities.” In Celtes et Gaulois dans l’histoire, l’historiographie et l’idéologie moderne. Actes de la table ronde de Leipzig, 16-17 juin 2005, 197-218. Edited by Sabine Rieckhoff. Glux-en-Glenne: Bibracte, Centre Archéologique Européen (Bibracte 12/1), 2006. 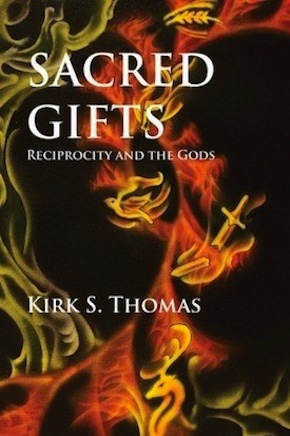 Thomas, Kirk S. Sacred Gifts: Reciprocity and the Gods. Tucson: ADF Publishing, 2015.